style is style: The View From Here. Been doing a lot of pondering in this place. Say hello to my bedroom wall. Love your bedroom wall. So much more interesting than mine! awee I love your bedroom wall, so many cute hats! I started a hat wall collection, but not as cute as this! 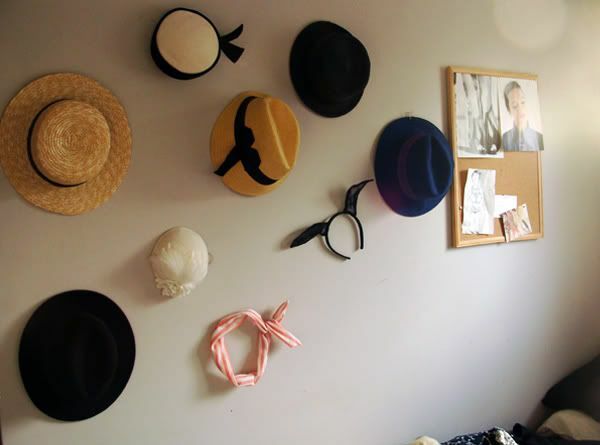 A hat wall! That's a great idea!